The summer months are often looked forward to for the chance to soak up some sun on a beach. If you are a would-be MBA, however, there was little time for play this year. Deadlines are fast approaching to secure a spot on a top MBA program. Round-one cut-off dates are already upon us. 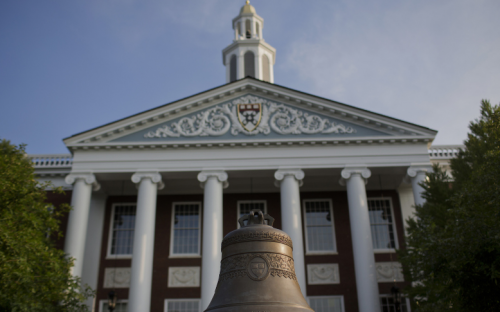 Earlier this month, an estimated 10,000-or-so people will have finished filing their applications to Harvard Business School (HBS). Historical data suggest only 10% are likely to get in. At other Ivy League institutions, your chances are just as slim. That means hours poring over entry exams, essays and referees. The good news, though, is that the workload has eased in recent years. As the former admissions director of HBS Dee Leopold, often put it, the school has been slashing its essay count because “the admissions process should not be a sort of essay writing contest”. HBS has cut the number of application essays from four to just one (and even that is not mandatory), and reduced the word count from 2,000 to, well, there isn’t one anymore. At Chicago’s Booth School of Business for example, MBA applicants don’t even need to write — they can answer their essay in the form of a presentation. “It’s meant to provide applicants with opportunities to express their authentic selves,” says Kurt Ahlm, associate dean of full-time admissions; the commercialization of the MBA application process, with essay writing and other admissions services, has muddied the waters. Meanwhile, Northwestern’s Kellogg School of Management has cut the number of written essays it requires from three to two, and reduced the word count by a third to just 450 each. “It encourages candidates to be more focused in their answers and in how they represent themselves to us,” says Melissa Rapp, director of full-time admissions. However, in their place are three new video essays — another growing trend in the b-school admissions space. This is part of a broader strategy to target the younger millennial generation, says Chioma Isiadinso, chief executive of admissions consultancy Expartus and former assistant director of admissions at HBS, which cares little for pen and paper but much for Tweets and Snapchat Stories. And while most schools deny that they are simplifying the process to encourage more applicants in what is basically a declining market for the full-time MBA, there has been a clear benefit to the shift, notes Chioma. “Many schools have experienced a spike in their application numbers recently,” she says. At London Business School Gareth Howells, executive director of MBA programs, says changes have been made to help the school snap up the very best candidates. LBS’ mandatory essay count for MBA applicants has been cut from six to one (and it’s only 500 words). And it seems to have worked: This year’s is LBS’ largest ever class at 425 students, with the largest ever number of nationalities (70) and a record GMAT average (708). Yet schools still say that the traditional essay is critical to the process of finding top talent. “They provide us with insight into the experiences, goals and thought processes of candidates,” says Alison Goggin, executive director of MBA admissions at NYU’s Stern School of Business, which slashed its required essays from three to two last year. For would-be MBAs, the holiday can wait.